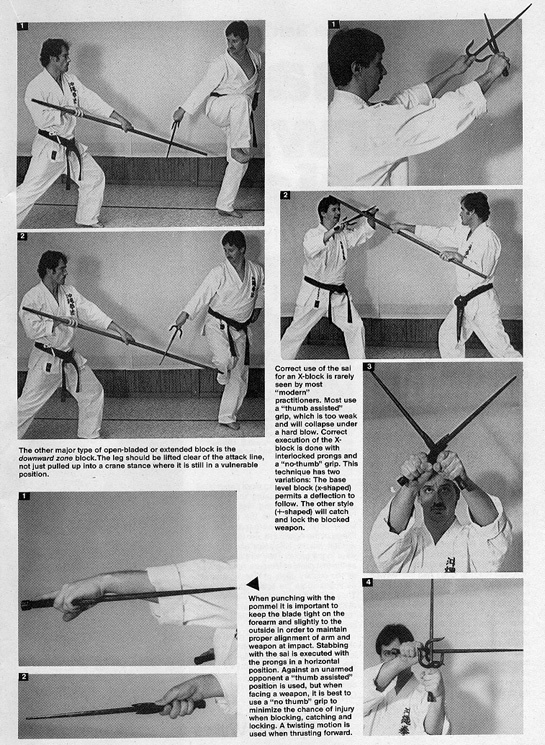 These photos present an overview of various blocking and striking techniques with the Sai. 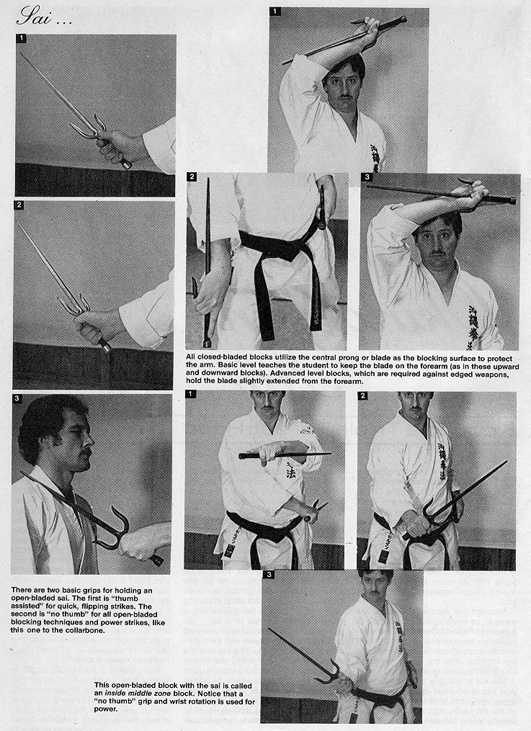 This photo set shows correct punching position as well as variations of the X-Blocks and their applications. 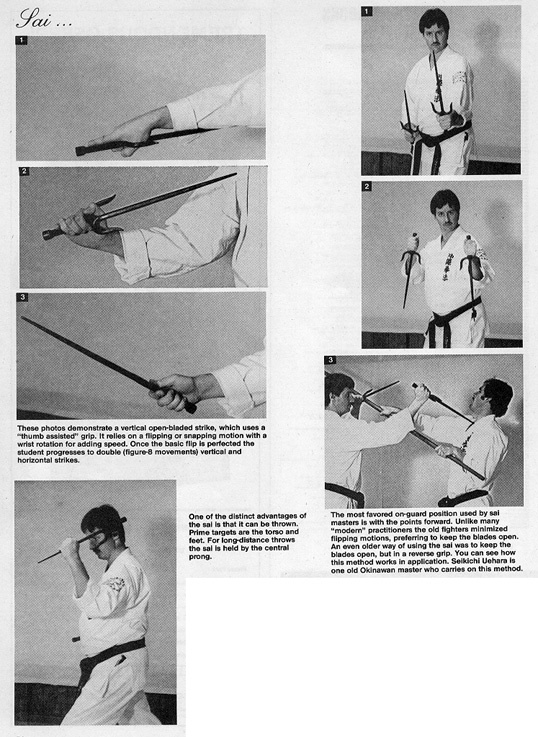 The final photo set covers flippping the Sai as well as on-guard positions and throwing of the Sai.